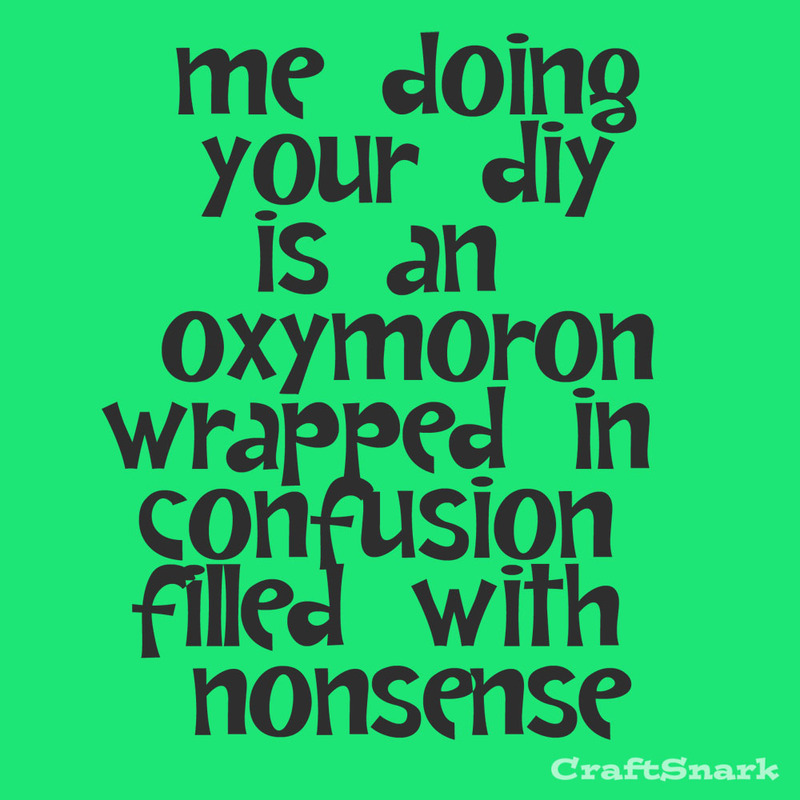 Craft Snark: DIY it Your Own Damn Self! In the last six months I have been asked countless times if I, or a craft blogger I know, will create content for a non-crafting site. 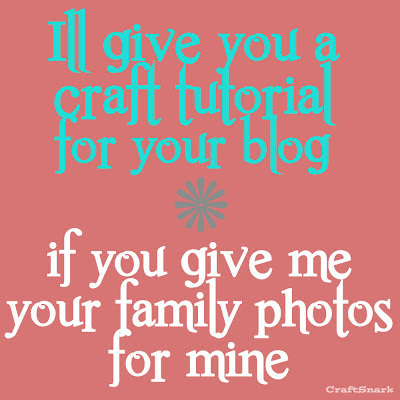 Bloggers of all kinds have seen the power of having craft tutorial blog posts. 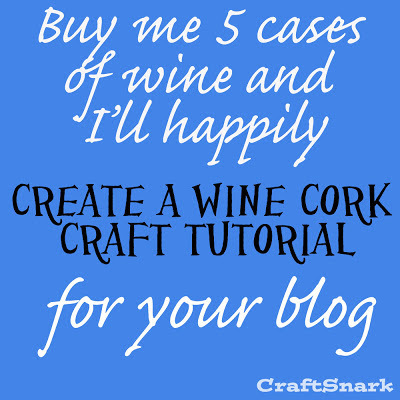 Craft tutorials are evergreen content that provide pageviews for years. 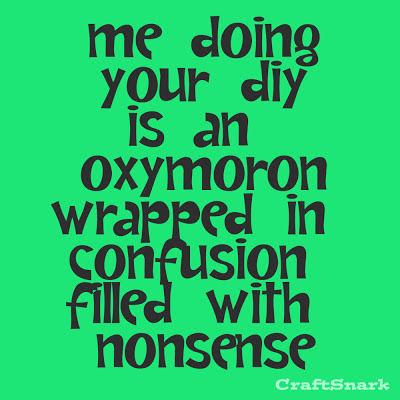 Readers, even those who don't define themselves as "crafty", love reading craft posts. And with the rise of Pinterest, a great craft or recipe can yield thousands (or tens of thousands) of pageviews. I blame myself for not educating my fellow bloggers. I love all my blogging friends. The mom bloggers. The family bloggers. The fashion and frugal bloggers. The travel bloggers. The lifestyle bloggers. The uncategorized bloggers. When one asks me if I'll create content for their site, I don't know how to respond. So though the following will be snarky, please know that it is snark filled with love. I know that other bloggers don't understand what they are asking. Because they don't know what goes into a tutorial post. The hours of creating, photoediting, and writing. The materials that are consumed when a DIY blogger creates a project. And they don't realize what they are taking away. Because if I create a project that goes viral on your site - those are pageviews I will never get. Readers who won't see everything else I have to offer. My blogging friends mean well. They want to give me exposure to a new audience. But my creations are my children. I want to play nice - but I'm not always willing to share things that have flowed directly from my soul. Even if a regular crafts feature on your blog is a win for me and increased your page views - does it make sense for your regular readers? Don't your readers come to you to read what YOU have to say? 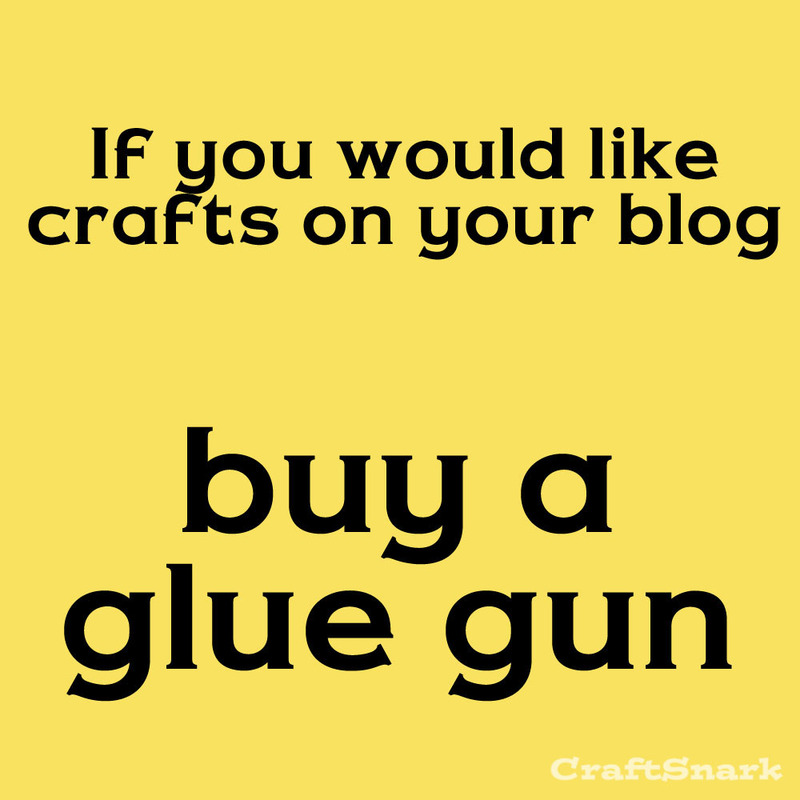 Shouldn't a "Do it Yourself" post on your blog be something you did... yourself? 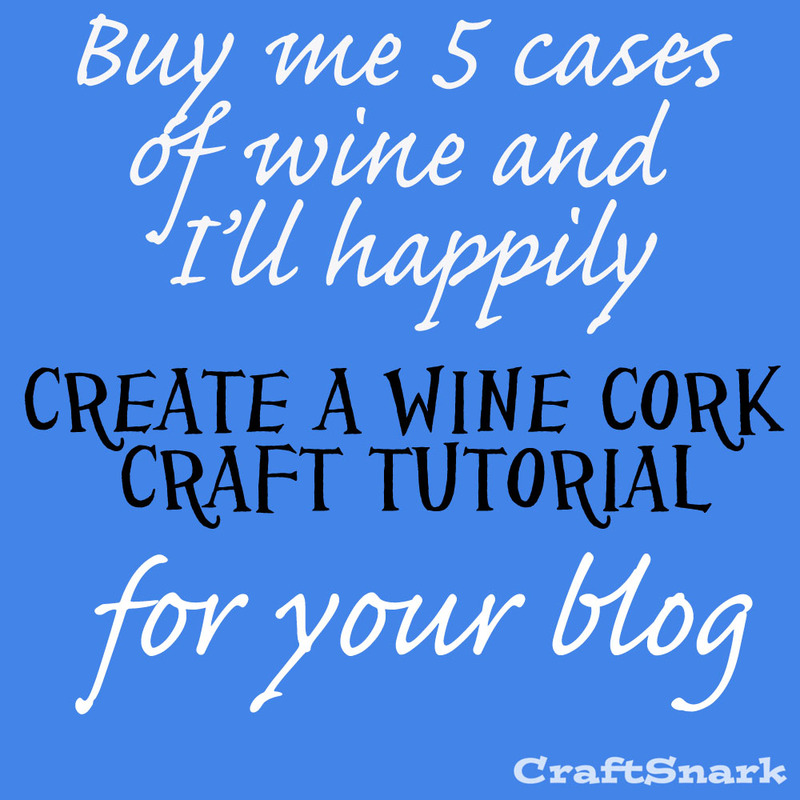 I'm not saying that no craft blogger will ever share creations with another blogger. I have done it. I'm sure I will do it again. I'm asking that you be conscious of what it is that you are really asking for. Would you ask a food blogger to go through the trial-and-error process of creating a recipe, writing up that finished recipe, stage and shoot a mouth watering photo, and then allow you to have rights to that content? Isn't that what you are asking your craft friends to do? Love it! If you aren't in my niche and I don't know you, you can pay me. Just like you would a regular freelancer . . . Unfortunately most bloggers don't realize what they are asking from you with time and cost. Pay for your time but don't ask for freebies. 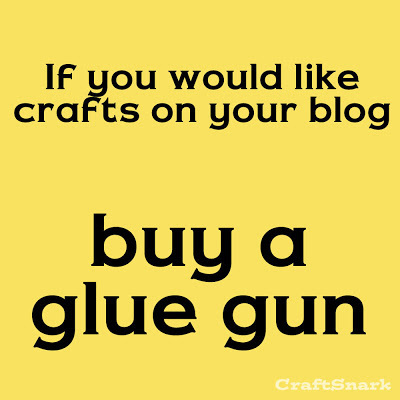 Probably not... but Feel free to come over and use my glue gun! Or was this directed at me? Also love the graphics - count me in on snarkiness. I curate craft tutorials on my site and truly understand what goes into thinking them up, making them, photographing them etc... because I do crafts in real life and have sold them to big retailers. But after rereading the article do you mean sites like mine that grab a photo and link back (driving lots of traffic to sites) or submitting special tutorials with all the steps for sites to use? This is NOT directed at blogs like yours - content curators (sites that encourage their visitors to go see the original site). There is a rash of bloggers looking for "contributors". 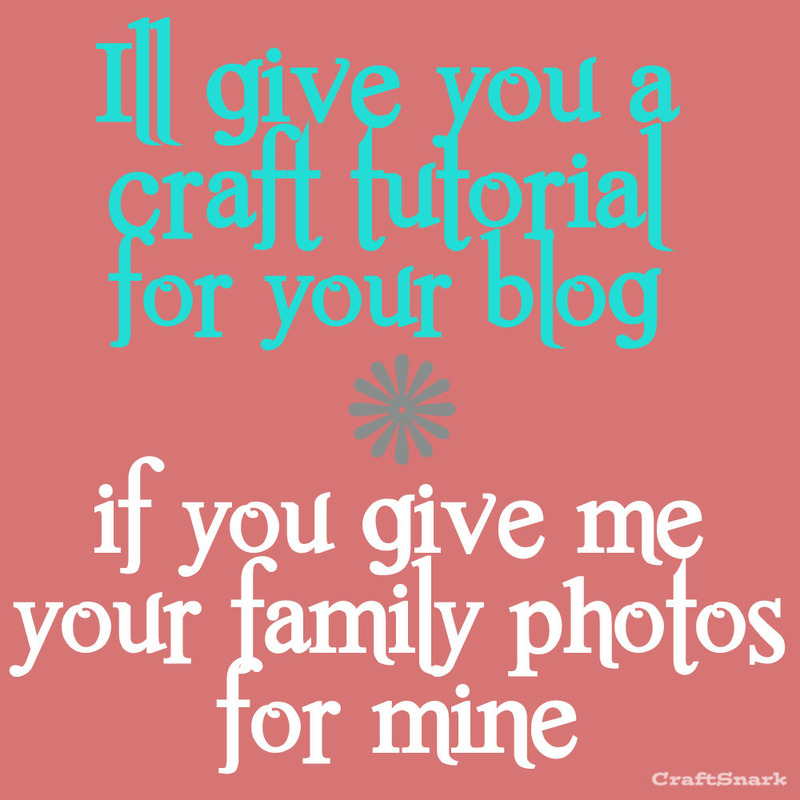 Full rights to full content of DIY posts from other bloggers. Although no one's ever asked me to do a tutorial for their blog, I breathed a sweet "Amen" when I read your comment about the hours of crafting, photoediting, and then writing up a tutorial. It's stunning how long all that takes! Thanks for the "heads up", sometimes I don't realize how valuable my time is & I'm just trying to get my name out there. But I think you are absolutely right! Staci - YES! I don't have an Etsy shop, but I can completely understand!